Today I explored a parking garage. Yes, I know it sounds like the most pointless thing in the world to do, but if you come along with me I'll try to tell you what I see, and why I find it so fascinating. The location of this parking garage is on Block 23, between Washington and Jefferson along 2nd Street, where the 1953 JC Penney's building was, in Phoenix, Arizona. You may have parked there while you were at the big game - I saw a lot of people doing that today. But if all you're seeing is a parking garage, you're missing so much. Time travel with me. 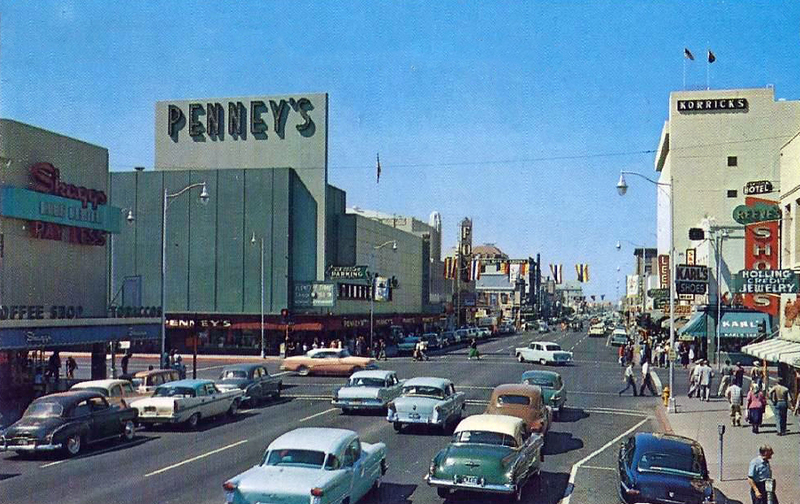 Looking west on Washington towards 2nd Street, and JC Penney's, in the 1950s, Phoenix, Arizona. It's 1953 and the Del Webb Company has just finished the ultra-modern JC Penney's building in downtown Phoenix. This really was the last great effort to try to keep shoppers coming downtown, instead of shopping in the new malls that were being built. 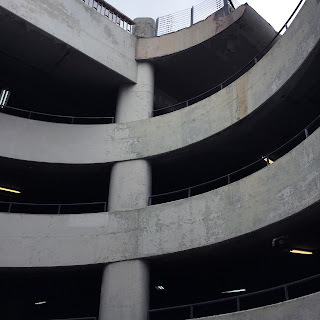 So while the building itself was impressive, the parking garage was even more so. There were, and are, three levels. The entrance was on the northwest corner of 2nd Street and Jefferson, where there was also a Chevron gas station. And to exit the parking garage, JC Penney customers rode escalators that took them up to Washington. 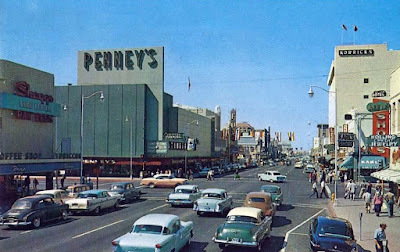 Article about the JC Penney's parking garage in 1953. Note the escalators. My goal today was to find the escalators, or at least where they were. And it was easy. There's a blocked-off door way back in the northwest corner of the garage, and you can still see how the entrance worked. And, although the escalator is all crunched up, it's still there, if you peek through a little window. 1953 escalator entrance from the bottom level of the JC Penney's parking garage. 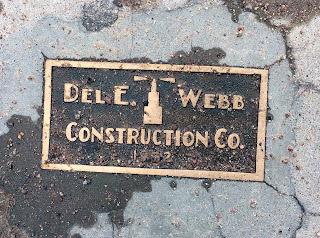 If you want to time-travel back to the 1950s, walk along the sidewalk on Washington from about halfway between 1st to 2nd Street. 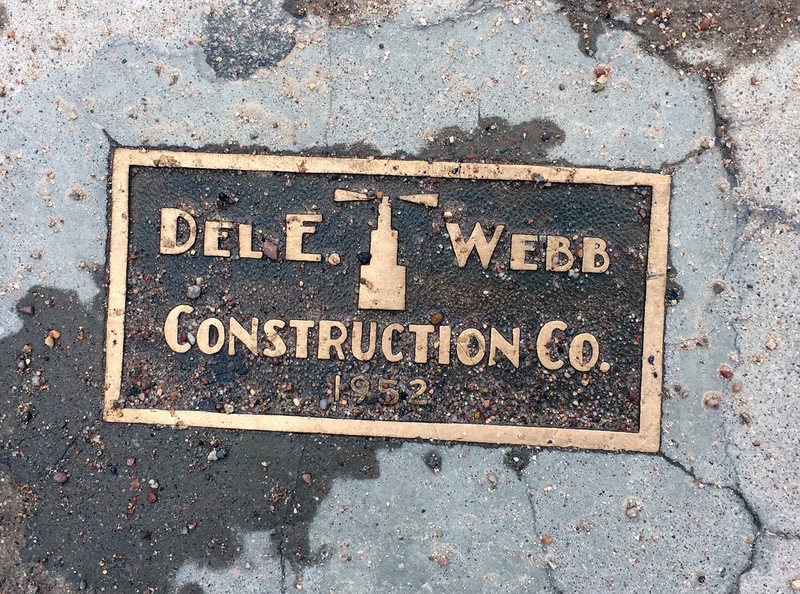 Still embedded in the sidewalk is the original plaque set by Del Webb when they began construction in 1952. And if you look very closely, you can even see, peeking out where the asphalt was poured over them, the original tiles for the entrance. 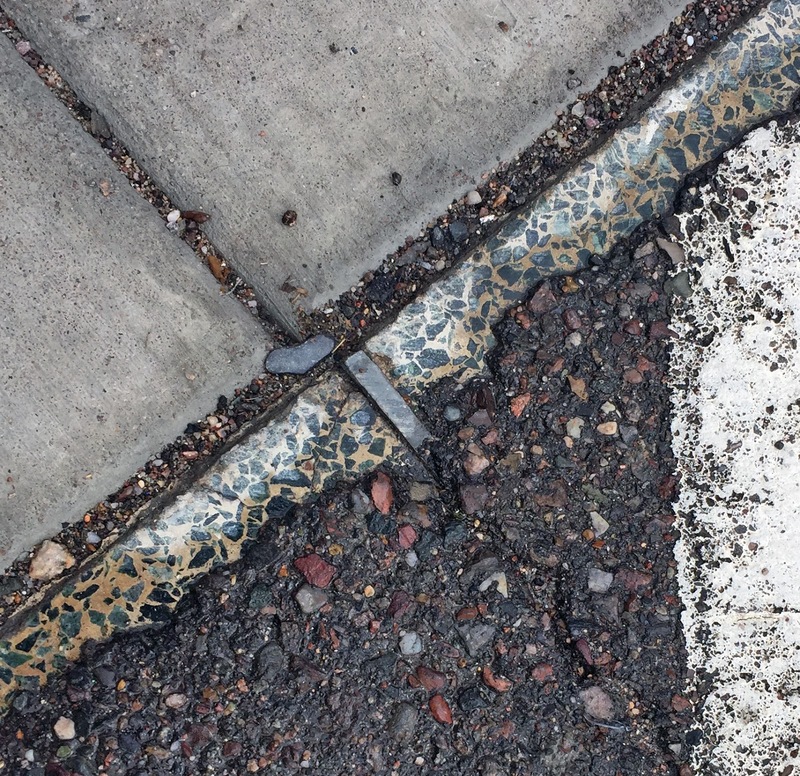 I don't know if asphalt can be removed without damaging the tiles, or if anyone other than me cares, but I think that it would be way cool for them to see the light of day again, maybe when the block is redeveloped. 1952 construction plaque for the JC Penney building, Washington near 2nd Street. 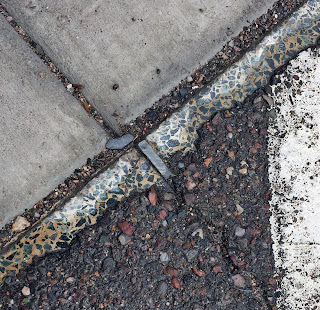 The 1953 tiles from the entrance to JC Penneys, peeking out along the edge of the sidewalk on Washington near 2nd Street. 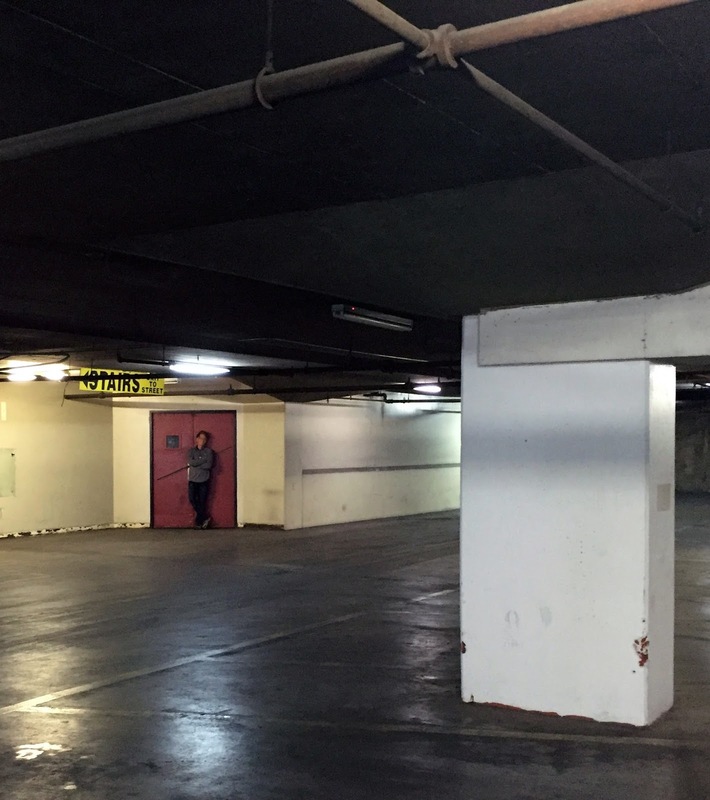 Article about the underground parking garage in 1953. I rode by the location today, taking the train to Tempe and back.